William was born on January 16, 1813 in South Carolina. He was the son of Artice Samuell Cook and Mary Elizabeth Matheeny. He married Hetta Marandy Young on May 05, 1834. Hetta was born on December 03, 1810 in South Carolina. 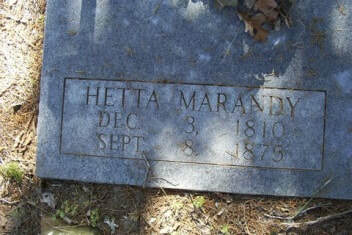 Hetta was the daughter of Johnson Benjamin Young and Mary Margaret Madison. She died on September 08, 1875 in Frankston, Anderson County, Texas and is buried in Old Bethel Cemetery in Frankston. William’s second wife is believed to be a Mefford. The 1870 US census records state William age 57; born abt 1813 in South Carolina. Home in 1870 was Palestine, Anderson County, Texas. Wife, Hettie, age 59. Children: John W. Cook, age 23; Daniel Cook, age 19; Martha F. Cook, age 17; and Cma S Cook, age 3. 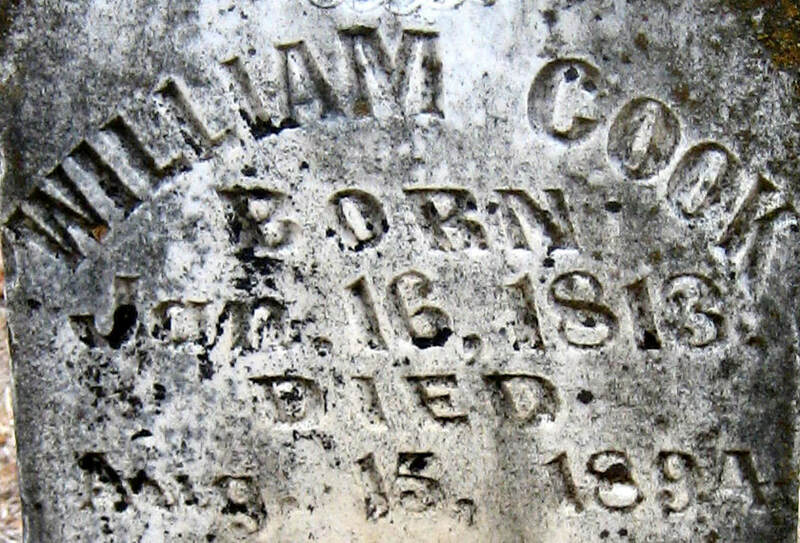 William died on August 15, 1894 in Erath County, Texas. 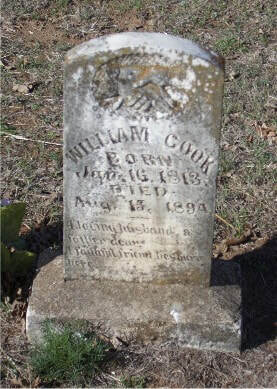 William is buried in the Mefford plot in the West End Cemetery, Stephenville, Erath County, Texas. Acres of land be the same more or less. Together with all the right and privileges thereto belonging to said W.A. Cook, his heirs and assigns forever; and I, the said William Cook, the said promises to the said W.A. Cook, his heirs and assigns will forever warrant and defend the same against the lawful claims of all persons. Witness hand and scroll for seal this the 23rd day of July, A.D., 1875. Of the Peace of Anderson County, Texas, personally appeared Wm. Cook and Claryann Cook, wife of the said Wm. Cook, both of whom are known to me, well known and parties to a certain Deed or writing bearing date of the 23rd day of July A.D. 1875 and hereto annexed and the said Wm. Cook acknowledged that he signed, sealed and delivered the said Deed for the purposes, uses and considerations therein set forth and expressed and that the same is his voluntary act and Deed, and the said Claryann Cook, wife of the said Wm. Cook as aforesaid having been examined by me privily and apart from her husband and having the said Deed fully explained to her. Then the said Claryann Cook acknowledged the same to be her Act and Deed and declared that she had willingly signed, sealed and delivered the same and that she wished not to retract it. To certify which I have hereunto signed my name and affixed my Seal of Office in the Town of Fosterville this the 12th day of November, A.D., 1875.